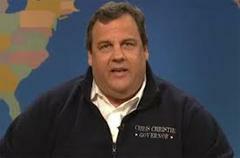 Christie declares state of emergency. TRENTON — Gov. Chris Christie has declared a state of emergency today due to a heavy snow storm expected to make travel dangerous for several days. “Today’s winter storm is expected to produce heavy snow and travel hazards throughout the state, affecting tonight’s evening commute,” Christie said in a statement. “I’ve authorized state officials to take all necessary action to prepare, and my Administration will continue monitoring conditions throughout the remainder of the storm." The storm is expected to bring heavy snow and mixed precipitation throughout the state, leading to fallen trees, power outages and flooding, the governor said.